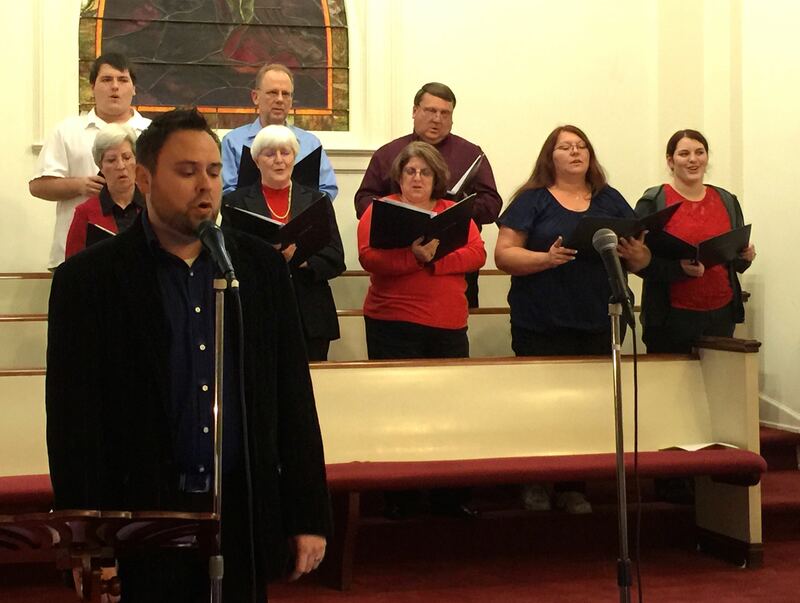 Ryan Kirk and the choir from our “Christmas Jubilee,” held Sunday evening, 12-21-14. On Sunday evening, December 21, our church music ministry, led by music minister Ryan Kirk, told the Christmas story through song and video. I also had the opportunity to preach the gospel through a short Christmas message. I discussed the true meaning of Christmas using Matthew 1:21: Jesus, which means “God saves,” came to save us from our sin. I then talked about how Jesus saves us, through his atoning death on the cross, and why, using Jesus’ Parable of the Lost Sheep. This is the fourth part of my Advent series, which draws upon themes from Hamilton’s new book. We Christians often elevate the Virgin Mary to such lofty heights that she can seem inaccessible to us. In truth, she’s a lot like us—at least those of us who are followers of Jesus. She is literally the first Christian. As such, we can learn a great deal from her example of faith in Luke 1. The best news here is that, just as Mary found favor with God, so can we! I love Christmas music. During Advent, I play old Christmas records by artists such as Bing Crosby, Frank Sinatra, the Beach Boys, and Elvis Presley every day. A couple of years ago, I was listening to a recent recording of the song “Have Yourself a Merry Little Christmas.” And you know that line—“Someday soon, we all will be together/ If the Fates allow/ Hang a shining star upon the highest bough”? The new version I heard said, “Someday soon, we all will be together/ If the Fates allow/ Until then we’ll have to muddle through somehow.” And I’m like, “What?” I’ve never heard that line before! But it turns out that if you see the Judy Garland movie, Meet Me in St. Louis, where the song originated, that’s what she sings in the movie. But when Sinatra was recording his Christmas album in 1957, he asked the song’s author, Hugh Martin, to change the lyric. Sinatra said, “The name of my album is A Jolly Christmas. Do you think you could jolly up that line for me?” And so the change. Sinatra’s version became so popular that even Judy Garland started singing it that way. So no wonder I had never heard that line before! My point is, this Christmas song, which I had taken for granted for so many years, had been transformed: it suddenly seemed different and new; more down to earth; more real. You know? I know your Christmas won’t be complete without my annual Holy Land Christmas video. I showed this three-minute movie at Hampton UMC last Sunday. It includes pictures and video from my trip to the Holy Land in 2011. Enjoy! 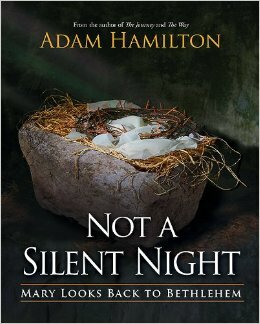 This is the third part of my Advent series, which draws upon themes from Hamilton’s new book. Much of this message is aimed at parents. In Luke 2:52, we’re told that Jesus “grew in wisdom” and in the “favor” of God. Among other things, this means that God’s plan was for Jesus to grow and learn and develop much like other children. If even Jesus—God from God, light from light, true God from true God—needed godly parents to shape him into the faithful person that he became, how much more do our children need us! Another part of this message relates to making Christ our highest priority in life. 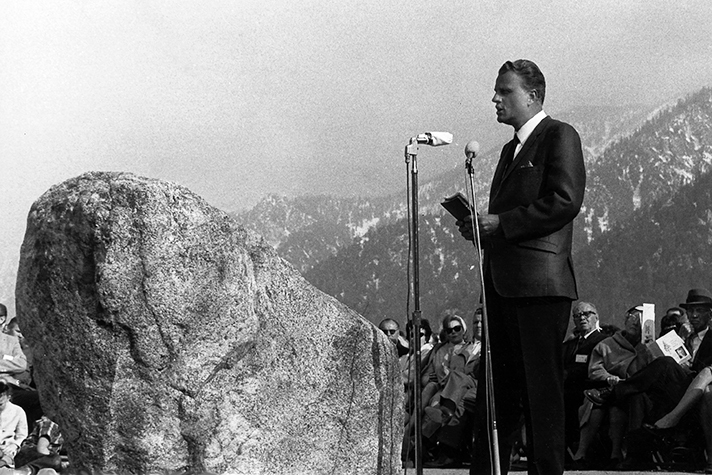 In this article from Billy Graham’s website, his grandson Will describes the most important crossroads that Billy Graham faced in his life. It occurred in 1949 at a Christian retreat center in California called Forest Home. Among other things, Graham’s confidence in his calling as an evangelist was shaken by a disastrous recent crusade in Altoona, Pennsylvania. Also, as the uncredentialed president of Northwestern College in St. Paul, Graham had to decide, for the sake of the college’s accreditation, whether to quit his evangelistic career to pursue an advanced degree. Meanwhile, his good friend and fellow evangelist Charles Templeton, with whom he had ministered at Youth for Christ, did abandon his career in evangelism for the academy—at Princeton Theological Seminary. While there, he began doubting the Bible’s trustworthiness until he later abandoned the Christian faith altogether and became an atheist. Did Templeton know something that Graham didn’t? The next day, the organizer of the retreat remarked that Graham “preached with authority” that she hadn’t seen in him before. Four hundred people made a commitment to Christ in response to Graham’s message. This marked the beginning of a new and fruitful chapter in Graham’s ministry. Like Graham, hers was not a blind faith or an unquestioning faith. She was inquisitive. She wanted to reason it through. Ultimately, however, she accepts it, not because it all made perfect sense to her, but because she trusted God, with whom “nothing will be impossible.” She took God at his word. And like Graham, it made all the difference for her—which is an understatement, of course. Ultimately her freely chosen obedience helps make all the difference for all mankind: because through her son we find forgiveness of sin and eternal life. Inasmuch as I have trusted in God’s Word and committed myself to following it—in spite of my questions, in spite of my doubts—I can attest that it’s made the biggest difference in my life and ministry. God has proven himself; he’s rewarded my faith. And those questions and doubts get smaller and less significant. Almighty God, make me faithful to your word the way Mary was: “Here am I, the servant of the Lord; let it be with me according to your word” (Luke 1:38, NRSV). Amen. 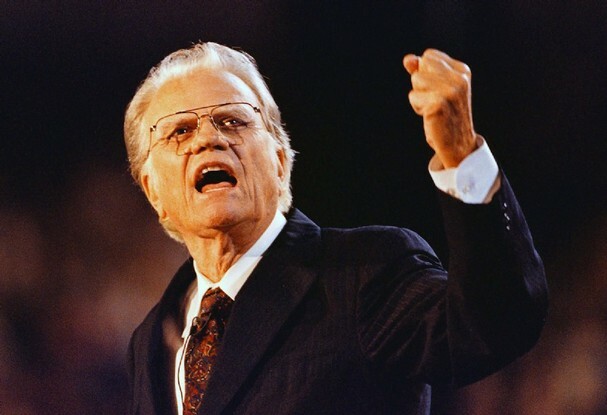 Billy Graham isn’t wrong to emphasize the decision to accept Christ as Savior and Lord. I have a Methodist clergy colleague and Facebook friend who tends to post things that make me feel both inspired and guilty—or maybe “convicted” is the right word. A post of his from this week was no exception. He said that while he enjoys seeing online photos from various church Christmas musicals, cantatas and programs—and he knows first-hand how much work goes into pulling these things off—he finds it perplexing that he rarely hears about conversions at these events. Is it because we’re not inviting people to respond to the good news of Christ’s incarnation? 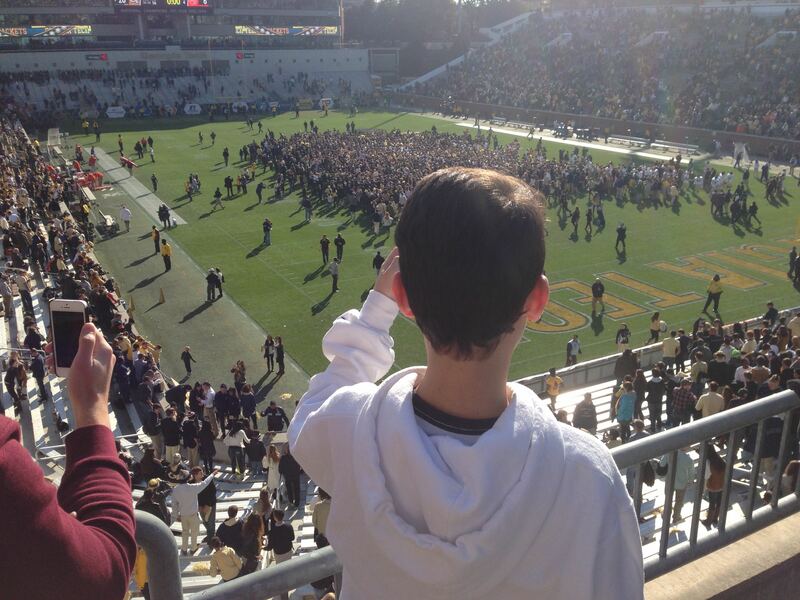 Meanwhile, he said, Mt. Pisgah United Methodist Church in Johns Creek, Georgia, the largest United Methodist church in our North Georgia Conference, reported over 100 professions of faith during their recent Christmas program. Over 100 professions of faith! During a Christmas music program! I can’t comprehend that. I am, like most of my colleagues, one of those pastors who hasn’t offered an invitation to salvation at a Christmas program. Nor have I ever seen it done (at least since I was a child in a Baptist church). Why? We are not betraying our Methodist heritage, or becoming more “Baptist” (if I had a nickel for every time I’ve heard that fear expressed by clergy colleagues, I could at least buy a grande latte at Starbucks), if we offer an altar call at the end of our services. Revivalism is more authentically a part of our Methodist tradition than the ecumenically-minded liturgical reforms that mainline churches implemented in the wake of Vatican II. I say this as someone who is not anti-liturgical. I have a great love for our denomination’s Anglican roots. I love the Book of Common Prayer. I appreciate that our movement’s founders, John and Charles Wesley, were lifelong clergy in the Church of England. But inasmuch as the Wesley brothers were high-church, they were high-church evangelicals. They rightly understood that merely being baptized and confirmed, and going through the motions of liturgy week in and week out, without a corresponding change of heart wrought by the Holy Spirit, is meaningless. All that to say, even we Methodists need to be converted! Indeed, we need to be saved! And, yes, we understand that salvation is a lifelong process of inward change that begins with God’s prevenient grace—by which we are able to repent, believe in Jesus, and be justified—and continues throughout our lives through the Spirit-initiated process of sanctification. We understand that God has given us means of grace, such as the Eucharist, holy scripture, prayer, and worship, through which God sanctifies us. We understand that we are not fully and finally saved until we arrive safely in heaven on the other side of death, the Second Coming, and resurrection. 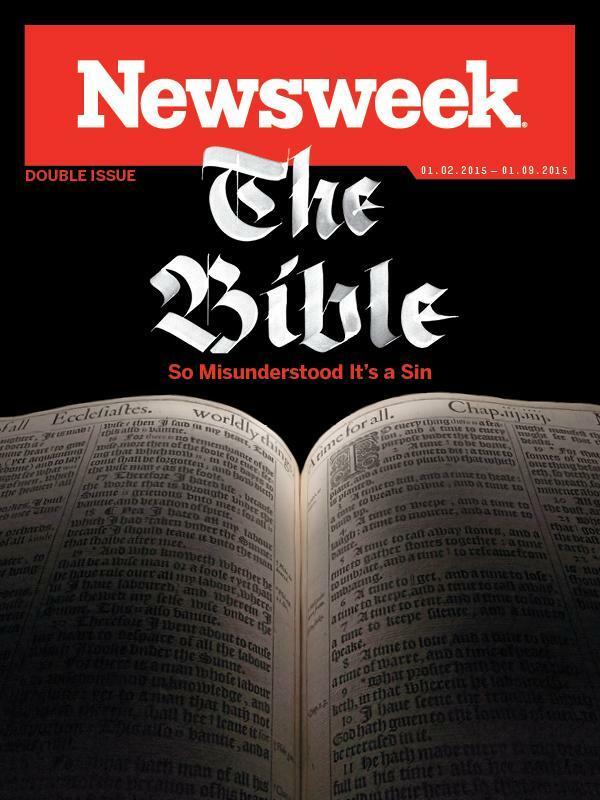 And more controversially, unlike most of our fellow evangelicals, Methodists do stress the possibility of backsliding. Even after we’ve been converted, we believe, God grants us the terrifying freedom to turn away from Christ, such that we lose salvation. I think I’ve faithfully represented—in a very brief sketch—our Wesleyan understanding of salvation. I affirm all the doctrines underlying this understanding. So I understand that salvation is much more than a one-time decision made in response to a preacher’s invitation at the end of a church service. I understand that leading someone to pray the “sinner’s prayer” is, by itself—apart from genuine conversion, without the corresponding change of heart wrought by the Spirit—insufficient for salvation. I get all that. But for all the outrageous slander directed against pastors like me who affirm praying a sinner’s prayer (bless your heart, mainline Protestants! ), would somebody please tell me a better way for someone to get started down the path of salvation and lifelong discipleship? What would you have someone do when the Holy Spirit has led them to accept for themselves God’s gift of forgiveness and eternal life through Christ? Everyone must ultimately decide for themselves whether they want this gift of salvation. Everyone must make a decision! That’s what the sinner’s prayer represents. And this, in my mind, is the rationale for preachers like me inviting people to “accept Christ as Savior and Lord.” I have no problem with using this revivalistic language. Because it’s true—even if, in respectable corners of our dying mainline Protestant tradition, it’s unrespectable. I couldn’t care less about respectability. We are facing a desperate need on the part of people to be saved. We Methodists have enabled them to avoid making a decision long enough. We’ve taught them—at least unintentionally—the damnable lie that simply going to church, getting baptized, going through confirmation, and being a “good person” is somehow enough. I’ve been part of that problem, believe me! We Methodists keep saying, “There are yet four months.” Then, when four months pass, we say there are four months more. And so on. The harvest, oddly enough, never arrives. As you can tell, I’m convicted. Our church’s Christmas music program is this Sunday evening. It just so happens that even before I read my clergy friend’s Facebook post, my music director and I had built into the service an altar call for people to receive God’s gift of salvation. There will be people who come to that service—I have no idea who they are—who haven’t yet made a life-changing, soul-saving decision to accept Christ. I’m going to invite them to do so. Will they respond? I don’t know. But I’m praying with all my heart that they will. Will you join me in that prayer?